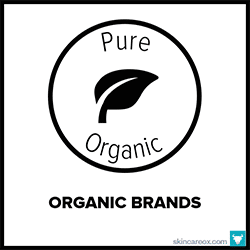 Why use organic body lotions? When it comes to skin care, oftentimes we spend a lot of time and energy caring for our face and relatively little time caring for the skin on the rest of our body. While it is true that the skin on your body is more resilient to the elements than your delicate facial skin, your whole body needs nourishment too. The skin on your arms and legs is exposed more often to the sun, environmental pollutants, and constant friction from our clothing. This can cause wrinkles, discoloration, sagging skin, and irritation. Winter and summer climates can both wreak havoc on our skin for very different reasons; causing our skin to become sunburned, dehydrated, cracked, and flaky. 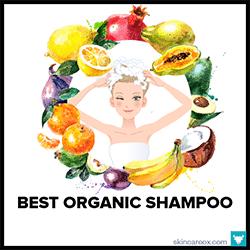 There are many so called “organic” and “natural” products on the market that are really just filled with cheap preservatives, toxic chemicals, and worthless fillers that can actually create more problems for your skin. That’s why we’ve created this mega list of truly nourishing and organic body lotions. We’ve painstakingly researched hundreds of organic lotions and have narrowed down the field to this list of 40 organic body lotions and body serums. As with all of our organic lists, all products below are free chemicals from the “dirty dozen” like Sulfates, Parabens, Phthalates, Petrochemicals + Mineral Oils, Synthetic fragrances + dyes, PEG compounds, and Ethoxylated Ingredients. Additionally, we’ve double-checked our research against the Environmental Working Group’s database to ensure that we’re recommending only the highest quality ingredients. Simply put: you won’t find a better list of organic body lotions than this. So, knock yourself out kids—this list is for you! An ultra-powerful after-shower organic body oil made from the best stuff on earth. Packed with anti-aging antioxidants from organic rose oil, chamomile, calendula, seabuckthorn, pomegranate, rosehip seed, olive oil, lavender, and jojoba oil, this organic oil literally has everything mature skin needs. A true customer favorite that's best used immediately after showering for maximum results. A lovely 95% organic/ 100% natural body cream that checks all of the boxes. It is an effective all over organic body lotion made with simple, yet ultra-hydrating ingredients like raw coconut oil, mango butter, and vegetable glycerin (pulls moisture into the skin). Natural essential oils of citrus, orange, and grapefruit give this lotion a subtle + addicting scent. A must-try for all skin types. Osmia describes this body mousse as "heaven," and that's not an exaggeration. Made with 100% natural and 99.2% certified organic ingredients, this organic body lotion is safe, effective, and a pleasure to use. Organic shea butter, babassu, jojoba, vitamin E, and rosemary oil are all that's needed to calm and invigorate your skin. Use it solo as a whipped body cream or mix with your favorite oil. With customer reviews like "I'm addicted to this" and "please never discontinue," this may very well be the most beloved organic body lotion available. It has a light, yet irresistible scent of lavender (a naturally great antimicrobial and antioxidant), absorbs easily into all skin types (despite its thick texture), and provides all day hydration and protection. Plus, a little goes a long way! The very definition of a luxury body oil. It provides an uber hydrating and deliciously aromatic experience. The key ingredient, USDA certified organic Undaria Algae, is soaked in botanical oils for 6 months to distill all of its potent vitamins and minerals into the oil. That rich oil is then mixed with sunflower oil, acai, passion fruit, and sesame oil to create a concentrated body treatment. Who says that all body oils are greasy? This deeply moisturizing formula from True Botanicals sinks deep into the skin without leaving a greasy residue. The consistency is rich and silky smooth--making it a real pleasure to apply. Ideal for dry and mature skin types who want glowing skin all-over. Made with potent organic ingredients like green tea, sunflower oil, chia seed oil, hemp seed oil, and rosemary. Given its price, ingredients, and effectiveness, it is safe to say that there are few organic body lotions that can compete with this formula. It's made with ingredients like an organic fruit juice blend (apples, grapes, and lemons), vitamin C, jojoba, and shea butter which work to visibly firm, hydrate, and nourish skin with fatty acids and vitamins. Great for uneven skin tone and sagging skin. This is one product from One Love that everyone loves! This organic body serum comes in a user-friendly spray bottle for easy application. It features a very unique antioxidant called Antileukine 6 (a form of seaweed) which has been clinically proven to support collagen and elastin health. Other star ingredients of this 100% natural/ 22% organic serum include pumpkin + sea buckthorn oils. If you think that body oils are greasy, think again. This "dry oil" from Eminence absorbs instantly into damp skin. It's made with a blend of oils which harmonize with our skin's natural sebum (like apricot, grape seed, jojoba, seabuckthorn, and pomegranate oils). As such, your skin will easily soak up the vitamin A/C/E, CoQ10, antioxidants, and omegas packed within this organic body oil. Perfect for normal, combo, and oilier skin types. This lightweight organic body lotion quite literally absorbs instantly into the skin (no more rubbing!). Its secret is a delicate balance of dry and rich oils + butters (like apricot kernel oil, sweet almond oil, cocoa butter, and coconut oil) which harmonize with our skin's natural oils. Naturally scented with gardenia and floral essential oils. 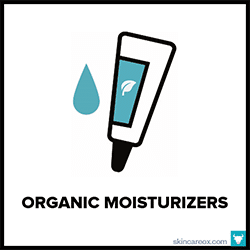 A USDA Certified Organic unscented moisturizer designed for very dry and sensitive skin. It's thick and slightly greasy, but that's just what the doctor ordered for some extremely dry skin types. Although it is unscented, it does contain organic sweet orange oil which has a mild citrus scent naturally. The star ingredients are organic olive oil, rosehip oil, argan oil, and bilberry leaf--simple! This lightweight, silky, and ultra-nourishing organic body serum is an anti-aging powerhouse. It's packed with antioxidant rich oils like passion fruit, geranium, coconut, babassu, acai, and safflower. This serum is a joy to apply and absorbs quickly into the skin. Your skin is left feeling soft, glowing, and supple. Also, oils like lavender, jasmine, and basil give this cream a delicious scent. When it comes to purity, this lemongrass scented organic lotion is hard to beat. This lotion is non-comedogenic, GMO-free, gluten-free, and preservative free! 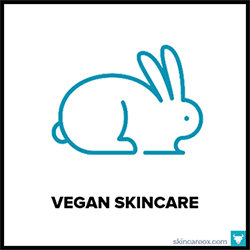 Sensitive and dry skin types will love its gentle and non-greasy organic ingredients like aloe, apricot oil, and orange essential oil. It is no wonder this lotion has received overwhelmingly positive customer reviews all across the web. Dr. Bronner's lotions are USDA Certified Organic, packed with great ingredients, and won't break the bank. This super affordable organic lotion features coconut, jojoba, avocado, and hemp seed oil. It has more water than most non-filler organic products (hence the price), but that's not always a bad thing. It comes in three all-natural scents: lavender, citrus, and peppermint essential oils. If you want to know why this organic body serum is $90, look no further than the ingredients list. Made from uber-potent certified organic skin care essentials like Ashwagandha, full-spectrum vitamin E, St. John's Wort, rosehip oil, turmeric, olive oil, and jojoba oil, this body serum is great at improving skin elasticity and locking in moisture. Perfect for stretch marks and uneven skin tone. An organic body lotion that smells good enough to eat. Packed with antioxidants galore, this thick, creamy, and luxurious body butter is powerful enough to treat mature and dry skin. Green tea, acai berries, resveratrol, and goji berries deliver a boost of anti-aging compounds (including vitamin C), while cocoa, shea, and avocado butters provide intense moisture and protection. A great combo. Rosehip oil has been used for years as a potent, yet gentle anti-aging moisturizer. This USDA certified organic creamy rose butter body lotion is made with fair trade shea butter, organic sunflower oil, organic coconut oil, and of course, organic rosehip seed oil and rose clay. Absorbs fast and great for discoloration, sagging skin that has lost its elasticity, and flaky/irritated dry skin types. Want a pure organic body butter that won't break the bank? These 100% pure, unrefined, and all organic body butters from Sky Organics are just that. Available in unscented Mango Butter (all skin), Shea Butter (dry skin), and Cocoa Butter (all skin), these lotions can be used alone or in a DIY skin care recipe. Just add a few drops of your favorite essential oils to create a one-of-a-kind treat! This unscented moisturizer from Acure is made with high quality ingredients and it’s affordable enough for daily use. Cocoa butter, rosehip seed oil, and argan oil work to smooth and hydrate skin while CoQ10 and evening primrose oil help to break down dry skin patches. Not as thick as some lotions, which makes this a great organic body lotion for normal, combo, and slightly oily skin types. Soapwalla makes some of the best organic skin care products sensitive skin types. This luxurious body oil uses gentle jojoba (mimics our skin's own sebum), sunflower, grapeseed, and rice bran oils, as well as Madhuca oil (awesome for dry skin). It has a naturally light citrus scent from the lemongrass, oranges, and ginger. Also, a little goes a LONG way. Apply after showing for best results. A classic organic whipped body butter that is cherished by 100% Pure fans. It has a very thick, yet non-greasy and silky consistency that is quite luxurious. Oh, and ingredients like coconut extract, cocoa butter, and mangosteen peel will leave you smelling like a tropical beach. It also contains a ton of moisturizers like aloe and shea butter that can soothe even the driest skin types. Made with organic everything, this luxurious body lotion from Honey Girl Organics is a mini-experience in a bottle. It's a rich, immensely hydrating cream that absorbs effortlessly into dry skin. Key ingredients in this lotion are organic olive oil (for dry skin), raw organic honey (with bee pollen + propolis and royal jelly), organic palmarosa oil, and organic chamomile oil. Yum in a bottle! For extremely dry and problematic skin types. This heavy-duty 93.5% organic body balm works to heal dry, cracked, irritated, and sensitive skin. It comes in an essential oil-free version which features cocoa butter, sunflower seed oil (gentle on sensitive skin), olive oil, evening primrose oil, rosehips, chamomile, and calendula extract. Can double as a facial lotion or all over spot treatment. Another amazing non-greasy organic whipped body butter from 100% Pure. Ideal for those who love thick body butters, but who prefer a subtler scent. This rich organic lotion has a light natural scent of almonds, rosemary leaf, and honeysuckle. It's non-greasy, contains no essential oils, and absorbs effortlessly. It's no wonder this body butter has received near perfect reviews from all skin types. Handmade in small batches in the USA, this premium all-natural body oil contains highly effective ingredients without any fillers. This is a non-greasy, vitamin and mineral packed body serum made from camellia flower oil (packed with fatty acids), grapeseed oil (vitamins C, D, and E), jasmine oil (smells like heaven), and hydrating coconut oil. Essential oil free and great for sensitive skin. Made from 100% organic fair trade certified shea butter, this shea butter lotion is as pure as it gets. Pure shea butter is deeply moisturizing and healing for those with irritated and extremely dry skin, but can be used effectively by all skin types. Shea butter can be thick and a little greasy for some, so it’s best to apply it after a shower or on very dry areas of your skin during the winter. Beauty by Allison is a boutique organic skin care company out of Austin, TX. As such, this Majestically Made body butter is hand-crafted by the creator in small batches. It has a simple, yet effective formula of organic shea butter, cocoa butter, and coconut oils. It's then naturally scented with organic lemongrass, orange, and rosemary essential oils. A great organic lotion at a great price. An organic lotion formulated with a high concentration of aloe vera and sunflower seed oil; Aloe is amazing at soothing inflamed + irritated skin, while sunflower seed oil nourishes your skin's collagen and elastin supply. Fans of this body lotion love the intoxicating natural scent from atlas cedar, bergamot, pink grapefruit, and clementines. Made with 99% natural and 25% organic ingredients. It doesn't get much simpler than this 100% pure unrefined organic shea butter body lotion. Shea butter is like superfood for your skin. It's rich in vitamins E + A, offers mild SPF protection, has mega anti-inflammatory benefits, and it is packed with moisturizing fatty acids. This shea butter cream works best when mixed with an oil (try olive or jojoba) and applied to damp skin after showering. Finally, an organic firming body lotion that actually firms! It works with a high-end blend of collagen boosting oligosaccharides, renewing fruit stem cells, ultra-plumping hyaluronic acid, and a mega dose of coconut milk + water for antioxidants, omegas, and vitamins (whew!). Very dry and mature skin types will notice a difference within a week; whereas it may take longer to firm normal skin. A Mukti fan favorite! Great for all skin types, except highly sensitive skin. This organic lotion is made with 95% certified organic ingredients by the Organic Food Chain. It features dependable moisturizing ingredients (like aloe, cocoa butter, shea butter, and coconut oil) as well as a few surprise luxury ingredients like macadamia nut oil, Kakaku plum, blue cypress, and mango seed extract. A USDA Certified Organic body lotion that's specially crafted for sensitive skin types and those who have body acne and acne scars. The key ingredient in this lotion, organic rose oil, is a potent antibacterial, anti-aging, and anti-inflammatory agent. It works to soften scars, making them less visible. Other key ingredients include shea butter, coconut oil, olive oil, bergamot oil, and lavender. This organic body elixir may be the answer to all of your skin care prayers (with clinical results!). It contains a remarkable list of ultra-potent ingredients (like moringa, plant stem cells, vitamin C, neroli, tamanu, prickly pear, and sunflower oil) that can significantly transform your skin's elasticity, brightness, and moisture. This oil has no equal, but you'll have to try it for yourself! Although this organic body lotion is lightweight, it has a nice luxurious consistency which absorbs quickly. It is 100% fragrance free and ideal for sensitive skin types or those who prefer to avoid even natural fragrances. Key moisturizing ingredients in this body lotion are sunflower oil + coconut oil (moisturizing), white tea leaf extract (antioxidant), aloe (anti-inflammatory), and lavender. A solid organic body lotion made from geranium (antibacterial + anti-inflammatory), grapefruit (treats cellulite + antibacterial), sunflower oil (moisturizing + high beta-carotene), coconut oil (softens skin), and aloe vera gel (anti-inflammatory). It has a vibrant citrus scent and makes for a perfect daily body lotion for normal/oily skin types. May not be moisturizing enough for very dry skin. An antioxidant rich body serum made with a lusciously unique set of organic ingredients like cardamom, Pyrenees lavender, and sesame seed oil. This organic body serum is non-greasy and specifically designed for mature skin types as it is loaded with antioxidant rich oils (sunflower, jojoba, and olive) and vitamin E. A fan favorite that is almost always sold-out, so get it while it lasts! Organic body serums are all the rage lately because they absorb fast, are non-greasy, and contain less fillers than traditional lotions. This USDA Certified organic body serum checks all of those boxes. It features gentle jojoba and coconut oil for hydration as well as a blend of essential oils, like orange, for an aromatherapeutic experience. Can be used all over or as a dry spot treatment. If you've had issues using coconut oil as a moisturizer, you may have been using a low-quality coconut oil. This pure, raw, unrefined, and USDA certified organic coconut oil is one of the highest quality products on the market. Their unique extraction process ensures that the oil contains a high percentage of lauric acid and other beneficial compounds. Great for pregnancy and stretch marks. Some of the best organic body lotions are ones made from a single ultra-hydrating ingredient---like this pure 100% raw coconut cream. Pure coconut oil is an amazing stand-alone moisturizer. It's loaded with fatty acids + vitamins and has potent anti-bacterial, anti-fungal, and anti-microbial properties. On top of that, RMS's raw coconut oil contains more nutrients than store-bought coconut oil. Mahalo is a little-known brand with a loyal following. This Vacation glow elixir is a luxurious treat for your skin that is made with high-end ingredients like Kukui, Polynesian tamanu oil, calendula flowers, sandalwood, frankincense, CoQ10, and sea buckthorn oil to name a few. The oil's texture is decadent, absorbs easily, and it actually smells like you've just returned from a tropical vacation. A lightweight organic body lotion for the warmer summer months. It contains some pretty noteworthy natural anti-aging compounds like DMAE (tightens skin) and MSM (a necessary compound for collagen and keratin in the skin), as well as a ton of familiar ingredients (like aloe, lavender, coconut oil, olive oil, and jojoba oil). As an added benefit, one bottle can last up to 4 months with proper use. What are the best organic body lotion ingredients? 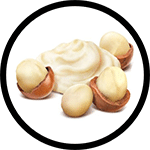 Shea butter is made from the nuts of the shea tree and it is a fantastic organic body lotion ingredient in its raw form. Shea butter has a proven track record of treating wrinkles, blemishes, stretch marks, and sagging skin. Some studies have shown that it is also effective at boosting our skin’s collagen production—making it a great anti-aging body treatment. Shea butter is packed with oleic and stearic acids (which help to lock in moisture), vitamin A, and has natural SPF 6 protection which can provide light protection from sun exposure. Effective for all skin types. If you’re looking for a body lotion that will fix hyperpigmentation and tighten skin, then look for an organic lotion that is packed with rosehip seed oil. Rosehip seed oil is one of the richest plant sources of Vitamin C. Vitamin C has been proven to effectively stimulate collagen production, penetrate deeply to reduce redness, and increase cell turnover. The essential fatty acids within rosehip seed oil penetrate deeply into the skin where they work to neutralize free radicals, reduce fine lines and wrinkles, and increase the skin’s permeability. The unique combination of fatty acids and vitamins come together to make organic rosehip seed oil a surprisingly great natural remedy for sun damaged skin and aging skin. 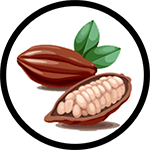 Cocoa butter is a rich oil that is extracted from the cocoa bean (the same beans that chocolate is made from). It’s a powerful emollient (softens and smooths skin), rich in antioxidants (like polyphenols, which have been shown to diminish the visible signs of aging), packed with essential fatty acids, and is non-irritating. It is the ideal organic body lotion ingredient for those with extremely dry, cracked, and flaky skin and those with dermatitis. Also, cocoa butter and shea butter work very well together. That’s why you’ll frequently find them together in any truly great all-natural body lotion. Olive oil is one of the most potent and nurturing organic lotion ingredients around. Olive oil has been praised by history’s most iconic beauties as their secret weapon to ageless skin (think Sophia Loren and Cleopatra). 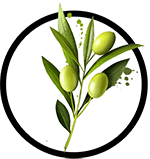 Cold-pressed and organic olive oil contains effective anti-aging compounds like squalene (a fat found in our own cells), vitamin E, and a rare antioxidant called hydroxytyrosol which has been proven to effective against free radical damage and acne-causing bacteria. Great for all skin types. 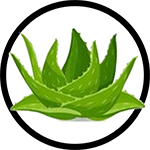 Aloe vera is a clear gel that comes from the center of the aloe leaf. Aloe vera-based body lotions tend to be smoother, lighter, and less greasy than cocoa/shea-based organic lotions. These lotions are ideal for sensitive, acne-prone, and oily skin types. Aloe vera has been used since ancient times as a potent anti-inflammatory and antioxidant. Pure aloe vera is considered a highly bioactive plant which has over 75 active compounds like vitamins, minerals, and fatty acids. Aloe is amazing for treating sunburns, dry skin, acne + acne scars, and even treats wrinkles by plumping up the skin with moisture. Pure aloe is hypoallergenic and won’t clog pores. Of course, just because an organic body lotion contains aloe vera doesn’t mean that the whole formula is right for your skin (so, do your homework!). Avocado oil is made by expressing the oil from dried avocado fruit. Organic avocado oil is very rich and capable of penetrating into the deepest layers of the skin. 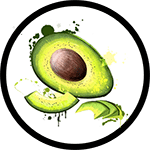 Once there, avocado oil’s unique blend of phytosterols, omega fatty acids, and vitamin E get to work to stimulate cell growth, diminishing pore size, and boost your skin’s production of collagen. Avocado oil can be greasy and slightly comedogenic (may clog pores for some), so it’s best used by those with very dry and mature skin. In fact, for dry skin types, organic avocado oil can be a fantastic winter climate body moisturizer all on its own. Coconut oil is a classic organic lotion ingredient. It’s bursting with skin-nurturing compounds like essential fatty acids (caprylic acid being the most noteworthy) and vitamins. These compounds give coconut oil the ability to fight premature aging, kill acne-causing bacteria, promote cellular repair, and prevent moisture loss. Coconut oil is a powerful emollient that can soften the most dry/flaky skin conditions. While coconut oil is truly an amazing natural lotion ingredient, it can also be highly comedogenic for some skin types. 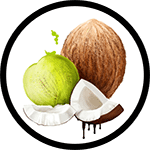 Try a patch test of pure, unrefined, organic coconut oil on your body for a few days before committing to a particular coconut oil-based lotion. Did you know that jojoba oil is not actually an oil? 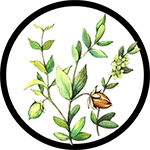 Jojoba “oil” is really a liquid polyunsaturated wax which shares a similar chemical consistency to our skin’s own sebum. Pure organic jojoba oil is hypoallergenic and safe for all skin types. Jojoba seamlessly blends with sebum and forms a thin layer of protection from moisture loss and environmental pollutants. Jojoba oil is best suited for oily skin types because of its ability to balance excess oils by dissolving them. In addition to providing intense moisture, organic jojoba oil also fights acne causing bacteria because it is rich in iodine (antibacterial), unclogs pores, and fades existing acne scars. Jojoba is a fairly common skin care staple that can be found in the best organic body lotions. Would you recommend to me the MOST moisturizing body cream that you have that i could buy in larger quantities…i am 69, very dry skin, wanting to find something I love. In the same ‘of a certain age’ group, I have loved Dr. Haushka body lotions for years, and their new Regenerating line is just wonderful.